If you’re looking for an eggs-ellent way to stay healthy, look no further: eggs are a wonderful source of protein and healthy fats that should be incorporated into everyone’s diet! Eggs are versatile too, and can be eaten in tons of ways so that you never get bored of eating them. So why are eggs so good for you? These babies are high in antioxidants that help prevent your eyes from degenerating. They contain choline as well, which has been linked to a reduced risk of cancer. Lastly, eggs contain amino acids, which eases the digestion of its protein. Protein is the main reasons eggs are one of my favorite foods: one large egg contains 6 grams and a large egg white contains about 3.5 grams. The low calorie content (70 for a whole egg, 20 for just the whites) also makes it ideal. There are tons of articles out there that state that egg yolks are too high in cholesterol and should not be eaten. However, research has shown that the form of cholesterol present in yolks is different from that found in a cheeseburger, meaning it won’t harm your health that way. Plus, yolks have a dose of healthy fats in them, so don’t be scared. I’m not telling you to go ahead and eat a dozen egg yolks, but when eating omelets, use the 2:1 ratio, which states that for every two egg whites, add a whole egg. 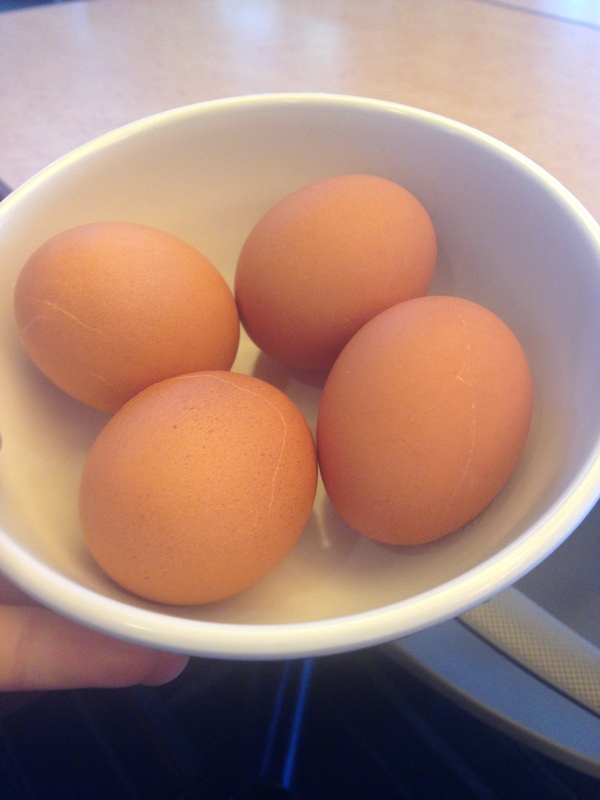 Here’s a recipe I use whenever I’m craving some eggy goodness in the dining hall. Take the egg whites and whisk them up in a bowl, then add the guac and mix together. Add some salt and pepper if you’d like. Then, toast the two slices of bread. Last, add the “egg salad” onto each slice of toast and you’ve got yourself an egg-tastic sandwich! Yum yum. ← Spotlight: BU Snaps: The Next Big Thing?